Professor K.J. 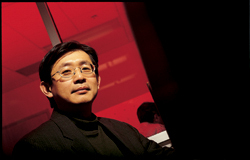 Ray Liu (ECE/ISR) has been honored with the A. James Clark School of Engineering's 2005 Poole and Kent Senior Faculty Teaching Award. Dr. Liu won the award for the impact he has made to education and curriculum in the college. The award was presented at the 2005 Spring Commencement.